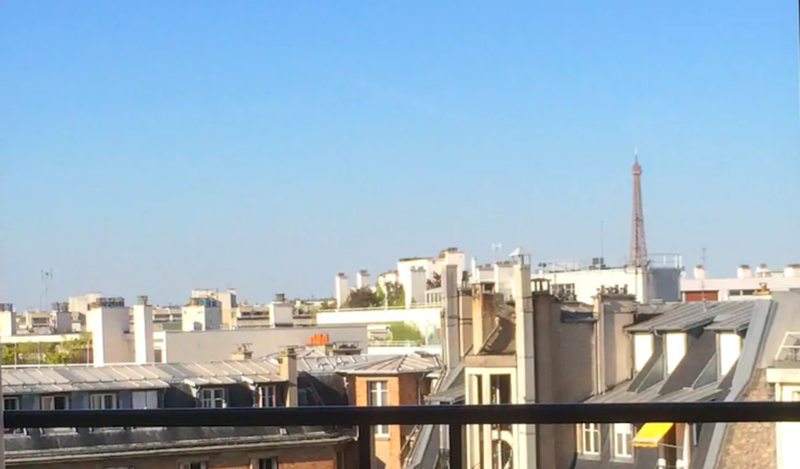 Large studio of 35m2 quiet and bright, located Boulevard Murat 75016 Paris on the 9th floor and last floor of a beautiful secure building with caretaker and elevator. The apartment is oriented East, very bright, overlooking courtyard with balcony unobstructed view of the Eiffel Tower. Kitchen area, bath tub, plenty of storage space. Collective heating, individual hot water tank. Metro L9 (near metro Porte de Saint-Cloud) and PC1 bus at the foot of the building.